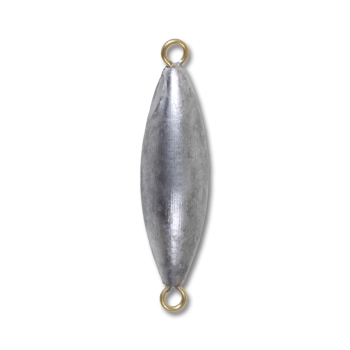 Our Double Ring Torpedo sinker will keep your bait down deep where the big ones hang out. The shape of the Torpedo allows you to troll with minimum resistance and easier rigging by using the brass eyelets. Contact us for Super Glow White finishes.